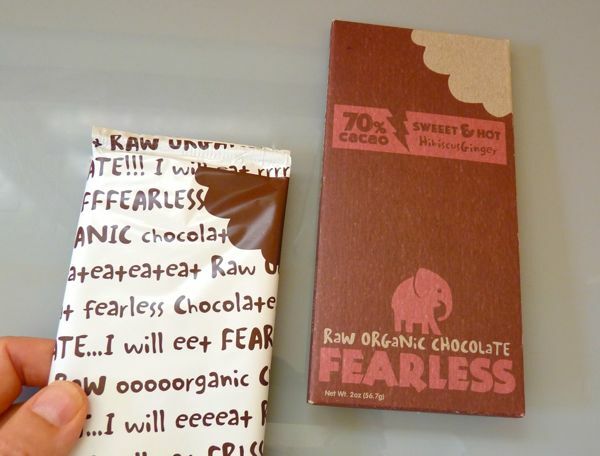 This Sweet and Hot dark chocolate (70% cacao) bar from Fearless Chocolate Co. (San Francisco) was made from raw cacao -- "unroasted and with low heat under 118 degrees" to help preserve nutrients, minerals and antioxidants. Both the hibiscus and ginger flavors were very subtle. Loved the company's creative approach -- which extended to a bite-shaped missing piece in the bar design itself. 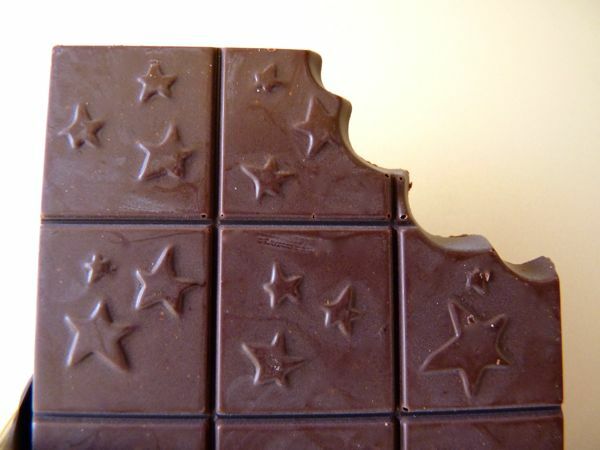 I bought this bar at the Village Market, one of several great stops for chocolate and other unique food items in San Francisco and, more specifically, at the SF Ferry Building. Today was Day #5 of Chocolate and Ginger Theme Week. Labels: chocolate and ginger, chocolate and hibiscus, Fearless Chocolate Co.